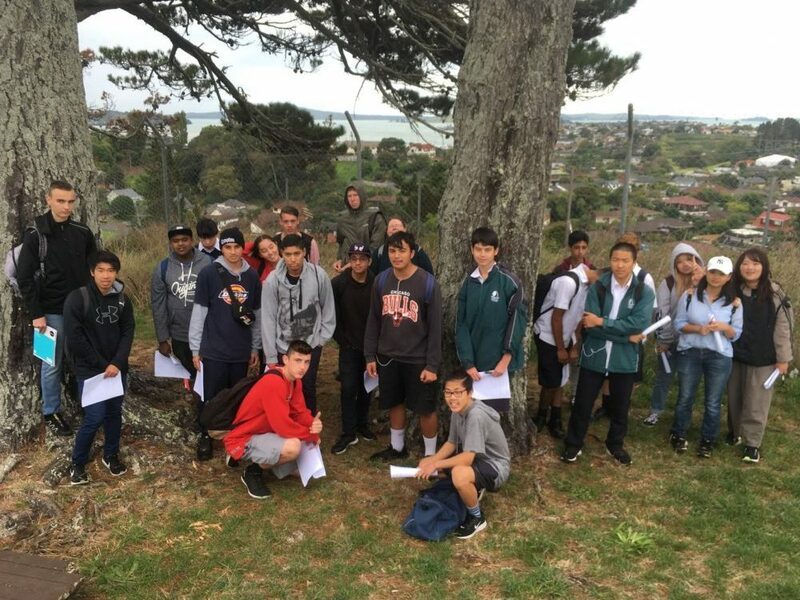 On April 3rd the Level 3 Earth & Space Science classes ventured out on their annual geology field trip. Their mission: to conquer three Auckland volcanoes in order to gather data for their geological dating achievement standard. They were sighted scaling Te Kopuke / Mt St John, greeting the Dog at Te Tātua a Riukiuta / Three Kings and descending into the depths of the Onepoto crater. The students were accompanied by Ms Barton, Mrs Collier and Mr Goodall. 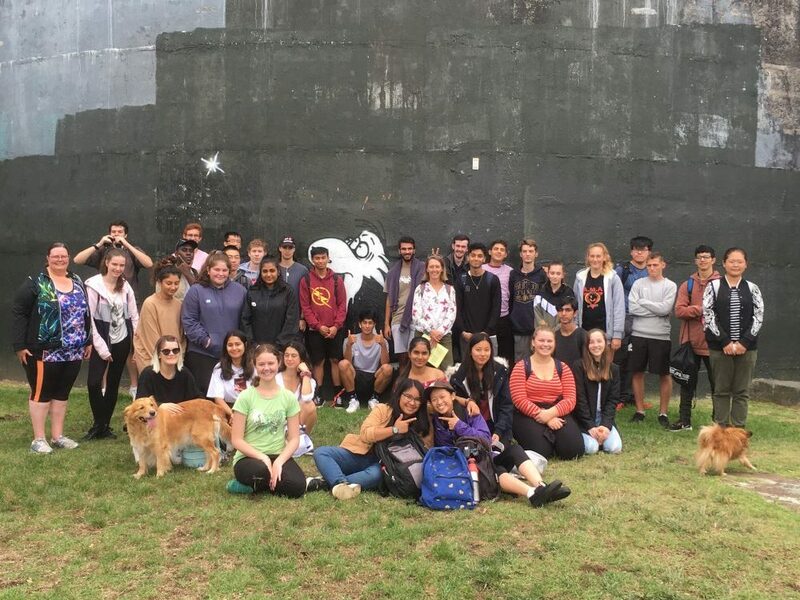 Like the Year 13 ESS classes, the Level 2 Applied Science class yesterday explored the formation, structure and erosion of three Auckland volcanoes: Ōhuiarangi / Pigeon Mountain, Kaiahiku / Panmure Basin and Pukekawa / Auckland Domain, together with Ms Barton and Mr Grigg. They were extremely clever at dodging both contractors removing exotic trees on Ōhuiarangi and some of the unpleasant weather. The only really heavy rain occurred whilst they were in the Auckland Museum volcano gallery.